Our kitchen is our heart, and we open it to you. Group dining is available for parties up to 100 guests. Rate: Monday-Thursday, parties over 14 require a deposit of $500, with a food and beverage minimum of $1000. For Friday and Saturday, deposit of $500 with a food and beverage minimum of $1600. 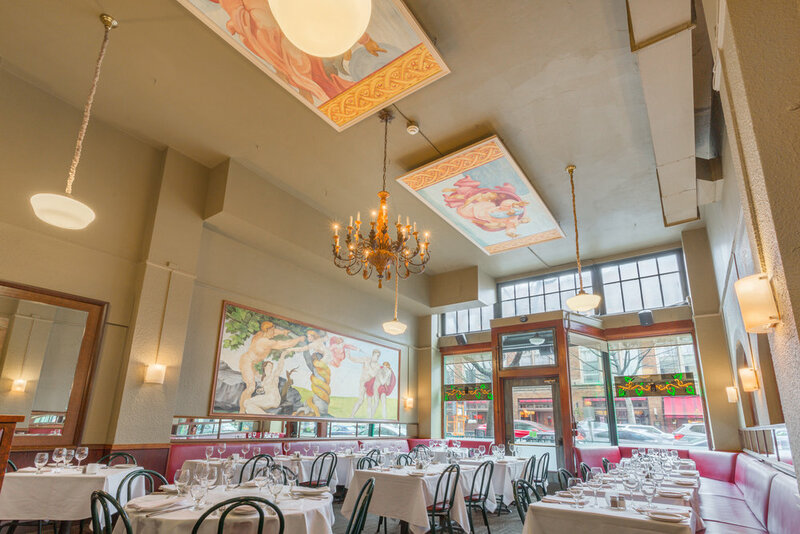 Host your event in the heart of our restaurant, surrounded by Italian murals and warmth. Rate: The South Room requires a signed contract and $2000.00 deposit, along with a $6,000 food and beverage minimum on Monday-Thursday and $8,000 food and beverage minimum Friday-Saturday. The entire restaurant is yours! Enjoy the luxury of hosting the perfect dining experience, from family gatherings to large social and corporate occasions. Rate: A Full Buyout requires a signed contract and $2500 deposit. Food and beverage minimum M-Th is $8000, F-Sat is $10,000. Sundays? Although we are not open to the public on Sundays, we can accomodate your larger party for private events. Please call for more information. 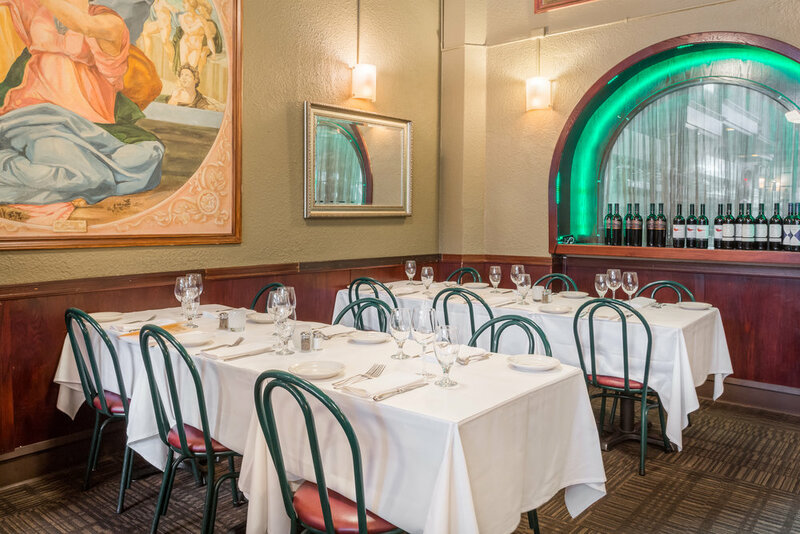 Celebrating your event at Assaggio? We are happy to make a custom cake for you with 72 hours notice. 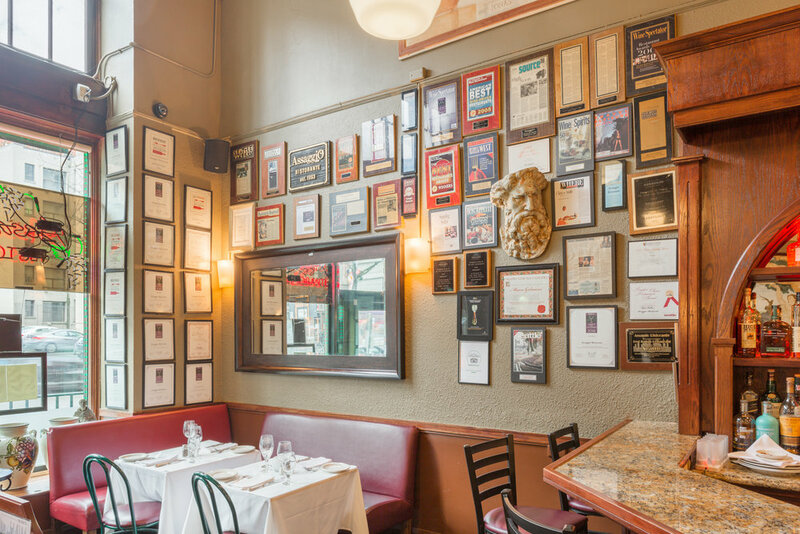 Please email us at events@assaggioseattle.com. If you wish to bring your own desert, please not we cannot serve homemade cakes or deserts. A $2.00 per person cutting fee will apply. RESERVATION CANCELATION POLICY. We're committed to providing superior quality services to our customers and restaurants. To assist us in maintaining a consistently high level of service with our member restaurants and patrons, customers are encouraged to cancel any reservations that they will be unable to honor at least 24 hours in advance. Please note that we do require a credit card to hold reservations for parties of 10 or more. For parties of this size or greater, a cancellation fee will be applied at $10 per person if notice is given less than 24 hours ahead of time and $20 per person if there is no notification of cancellation. for parties over 10. Menus at each setting, offering the event’s selections. Assaggio Ristorante does not provide valet parking. Street parking is available, as well as several public parking lots. Parking can also be arranged with The Warwick Hotel. Please contact us for further details. We offer an in-house music system and permit the use of DJ’s and musical bands with a full buyout.